As organizations are becoming more complex, Enterprise Architecture (EA) serves as an important means to align the strategy with the operations and to achieve business/IT (i.e., Information Technology) alignment. Although numerous approaches have been designed for large enterprises, little EA research was oriented towards small- and medium-sized enterprises (SMEs). However, both organizational types are fundamentally different and require a tailored approach. Therefore, CHOOSE was designed as an EA approach that is in accordance with the needs of SMEs. 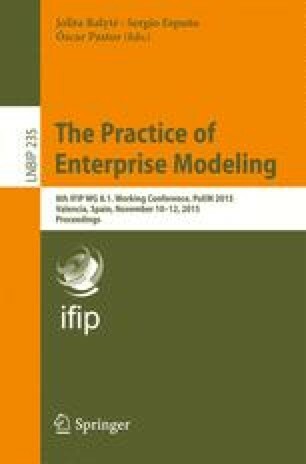 By performing a case study in the department of a large enterprise, this paper aims to investigate how CHOOSE can be used outside its original context. More specifically, it will be examined how the metamodel and modeling method could be extended to deliver an overview and valuable insights about a complex business reality. To realize this, potential solutions for the encountered issues are formulated and evaluated by the involved business stakeholders.